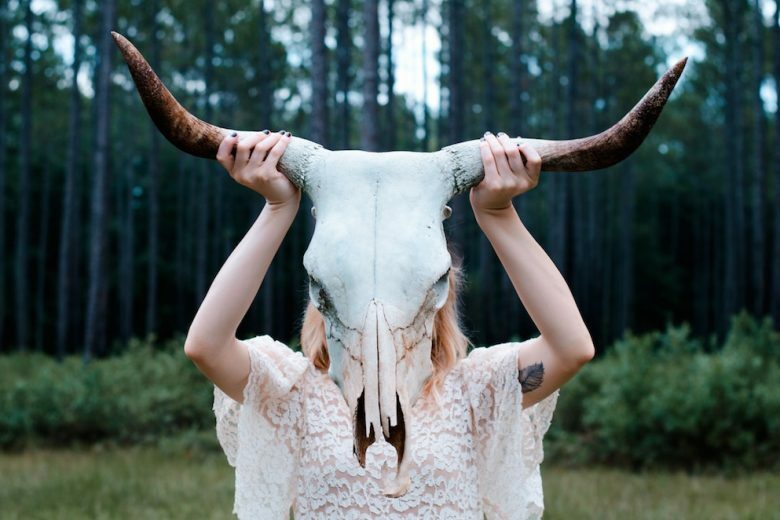 Find out why MLM reps are told to ‘fake it ’til you make it’ – and how they use these lies to recruit people to their downlines and sell products. Given these facts, it’s highly likely that your friend/colleague/aunt isn’t enjoying the lavish lifestyle they claim. And in fact, is probably lying. 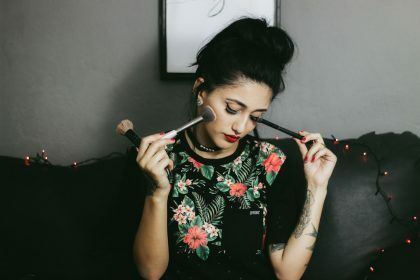 But before we look at specific examples of some of the lies that MLM reps appear to be telling, we need to examine the ethics of the industry as a whole. 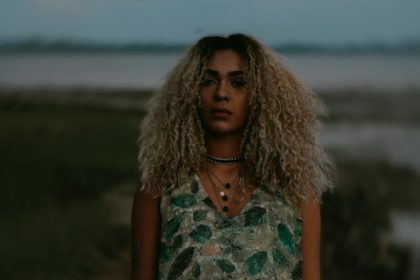 In our own investigations into MLMs, we’ve discovered that the earning potential appears to be incredibly limited for most participants. Indeed, we’ve found nothing to discredit the well-researched statistic that an average of 99.6% of participants in an MLM will not make money (and very likely lose it). 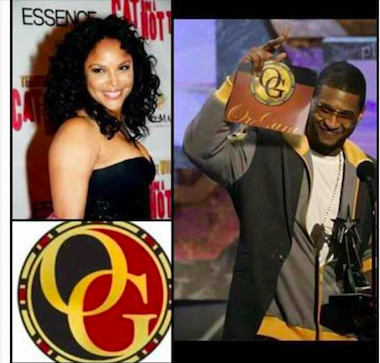 And yet, this is not the impression that MLM companies and their reps often give from their marketing and promotions. Indeed, most are seemingly happy to deceive to recruit. According to a 2017 survey by Truth in Advertising (TINA.org), a not-for-profit organisation dedicated to empowering consumers to protect themselves against false advertising and deceptive marketing, more than 97% of USA DSA member companies “engaged in misleading marketing schemes that peddle false and unsubstantiated earnings claims trying to convince prospective distributors to join their MLM network”. The survey found that “137 out of 140 misrepresented the amount of money participants are likely to earn — misrepresentations that cause real and substantial harm to consumers”. 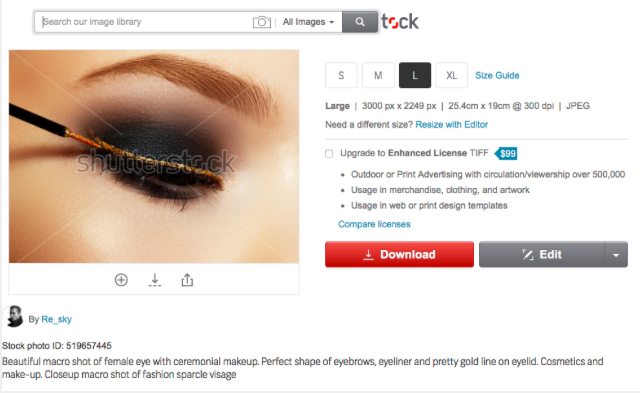 During their survey, TINA.org collected “more than 3,000 examples of companies and/or their distributors making inappropriate earnings claims on their websites and social media platforms”. And despite the DSA’s self-regulatory Code of Ethics, TINA.org apparently found that every company that holds a seat on their Board of Directors was making unsubstantiated income claims – including Herbalife. They also discovered that, based on 2016 net sales, 100% of the DSA’s 20 top-selling members (including Arbonne) are “employing false and unsubstantiated income claims to market their companies”. 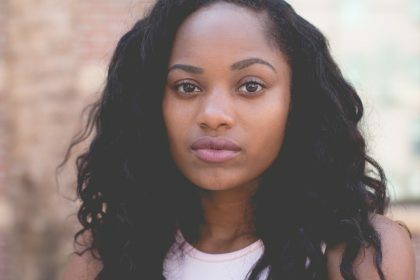 In a separate review of a review of 32 income disclosure statements for current DSA member companies, TINA.org learned that more than 80% of MLM distributors “grossed less than $1,200 annually or less than $100 per month before expenses. And for about half of these companies, the disclosures indicate that the majority of distributors made no money at all”. The misrepresentations in the industry apparently filter all the way down the sales lines. 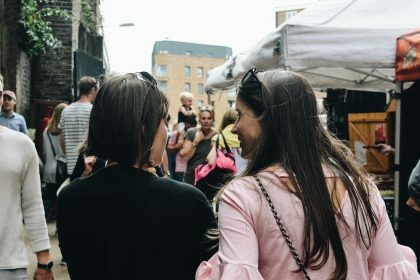 We often hear that MLM reps are told to ‘fake it ’til you make it’ in order to convince others that they have hit on an amazing opportunity – and recruit them in their downline. 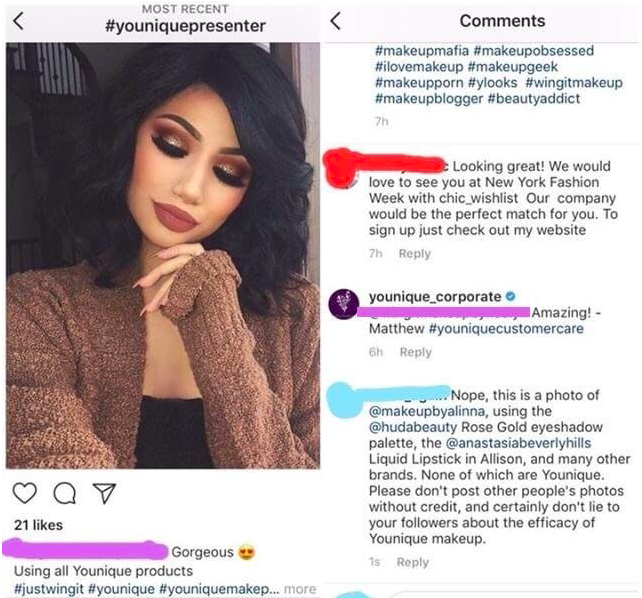 And even when MLM reps aren’t outright lying about their earnings, they’re crafty about how they use figures and tables to present what looks like an amazing income opportunity – despite the reality being very different, as this article about doTERRA and this investigation into Younique show. 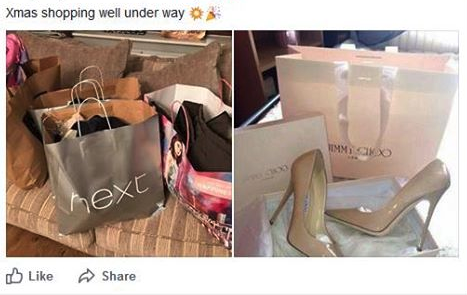 Collecting empty boxes to pretend you’re selling more than you really are is one thing. But using fake photos to convince potential recruits you’re more successful than you really are is another level of deception entirely. 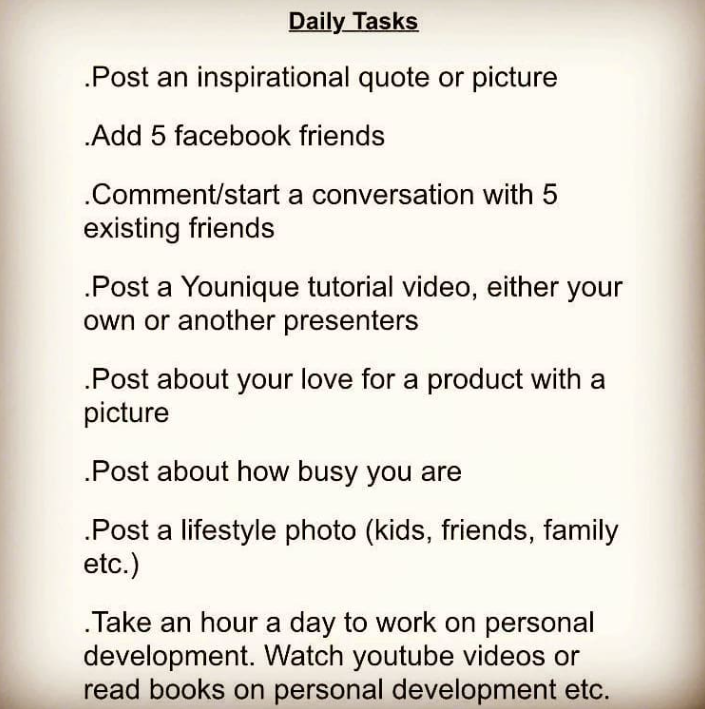 And yet it’s something many MLM reps are happy to do. And here’s the results of a quick search on Pinterest for Jimmy Choo shoes. 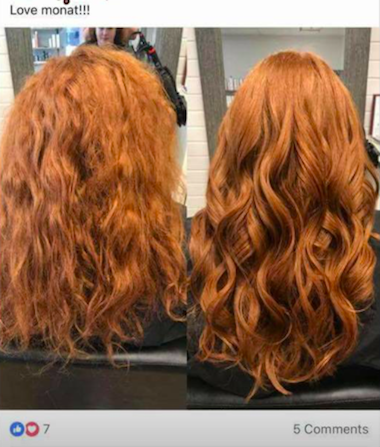 Notice anything familiar about the photo on the right? Wow my inbox was busy… two years ago! Only, are they really? If you look closely at the date on their virtual dashboard, it’s 2016 – two years before this photo was shared. Which can only mean they don’t really have any current orders to boast about. 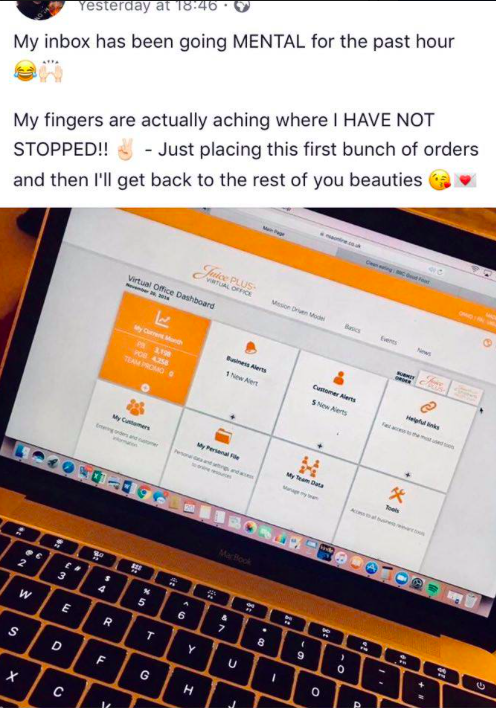 It’s a bit sad really that you need to resort to using a photo that is two years old to lie about your apparently failing business. 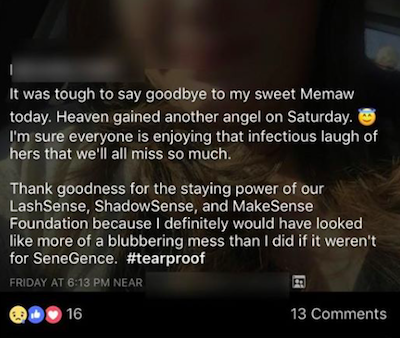 When you’re a rep for an MLM, you can’t afford to have real, human emotions. 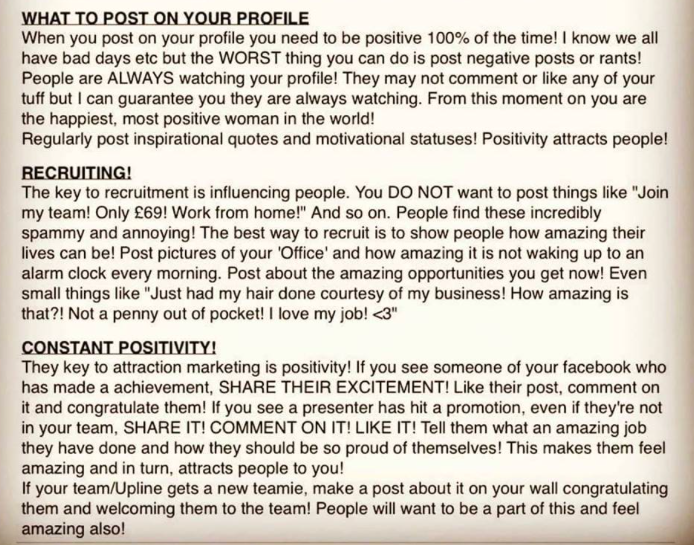 Instead you’re expected to project positivity every single moment, much like a modern day Stepford Wife. “From this moment on you’re the happiest, most positive woman in the world!” (Even if you’re only earning $14 a month…) So the faking it ’til you make it doesn’t just extend to material wealth; you’re also told to fake what an amazing time you’re having with your MLM. 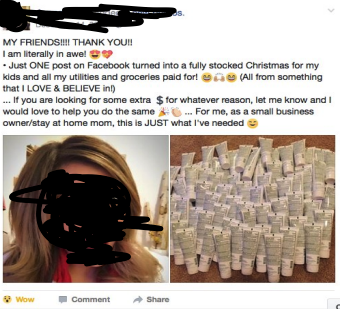 This is one of the reasons why we don’t believe a single word an MLM rep says. 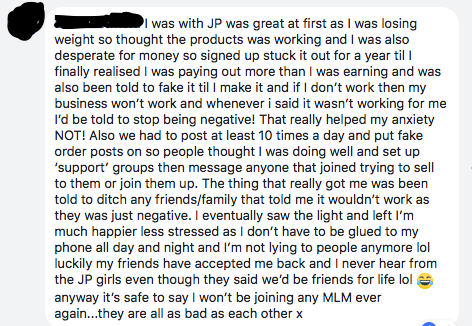 This expectation of false positivity is just one of the ways MLMs are like cults. 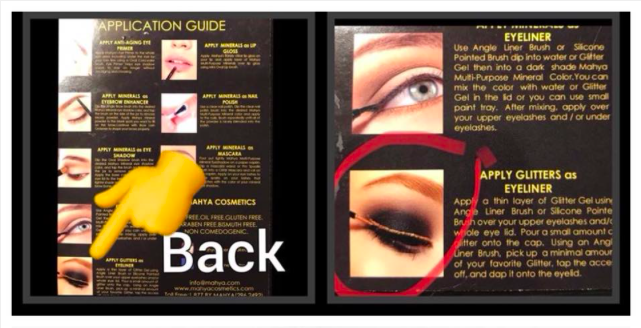 We’re well aware that beauty brands routinely retouch photos to enhance them, but in these cases (and these aren’t the only SeneGence examples shared by Crownless Princesses) they’re not just retouched – they’re completely faked! 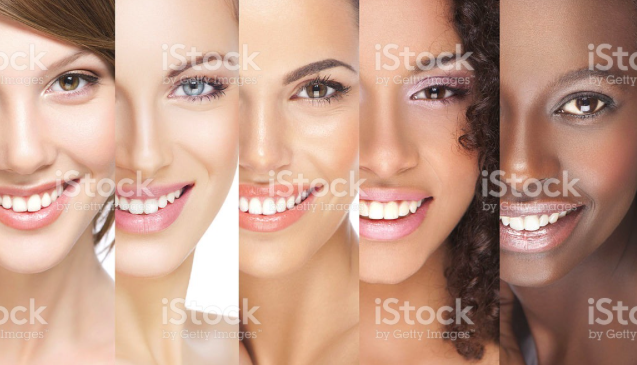 At no point did these models apparently wear SeneGence in the photos, making their ads feel like a complete lie. “We had to make up a name, and thank them for their order, saying the plans and products will be on their way and I would be here to help with anything. We were also told to post a picture saying thank you, as it was more eye-catching. 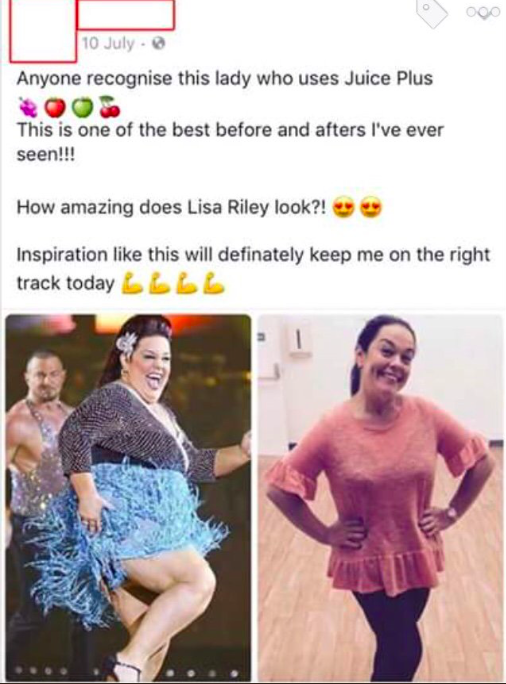 What bigger incentive to sign up for a weight loss product than to see someone who has achieved incredible results from it? 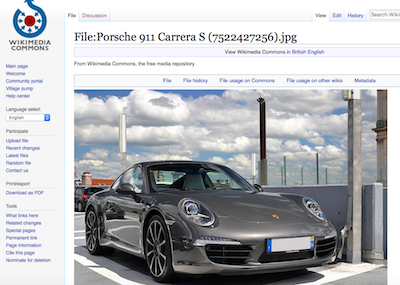 But what if you don’t have any photos of your own or your clients to share? 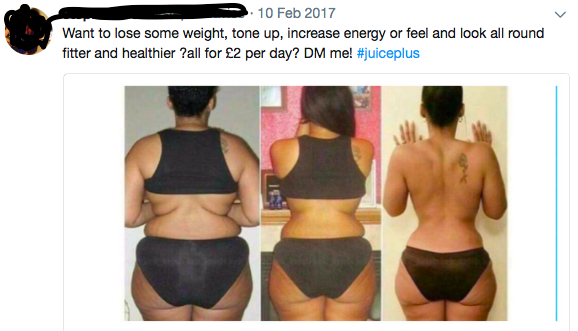 In the case of some Juice Plus+ reps, the answer seems to be to blatantly steal photos. 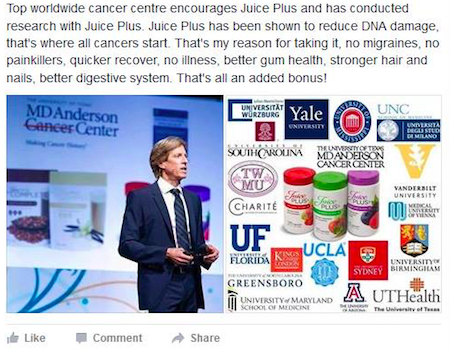 You can read more about the lies Juice Plus+ reps tell here. 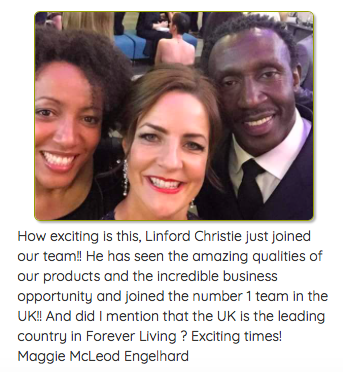 When we searched online to verify this strange claim, unsurprisingly we couldn’t find one single mention (other than these posts) that Linford Christie was now selling Forever Living. 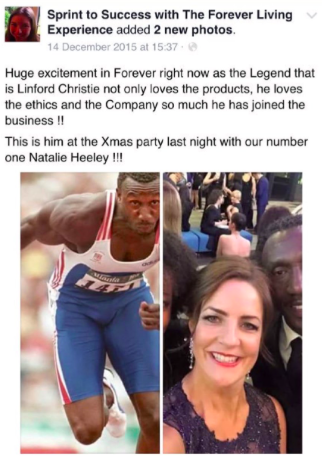 Linford Christie and Lisa Riley aren’t the only celebrities falsely used by MLM reps to promote their brands. 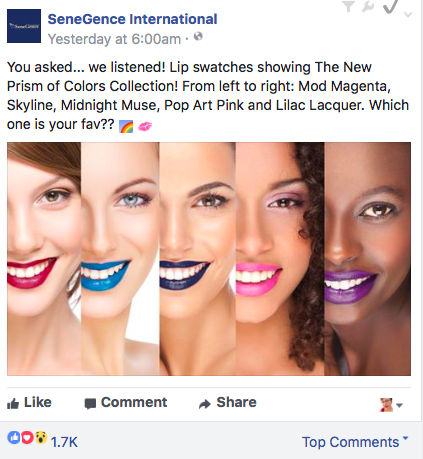 MLM reps are apparently fond of using their retouching skills to pretend that celebrities are endorsing their products. 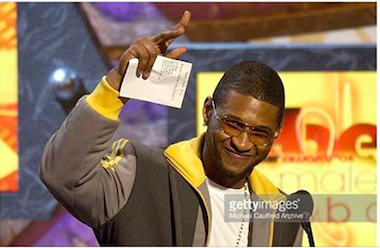 Again, we can find no evidence that J-Lo was ever associated with Vida Divina at all. 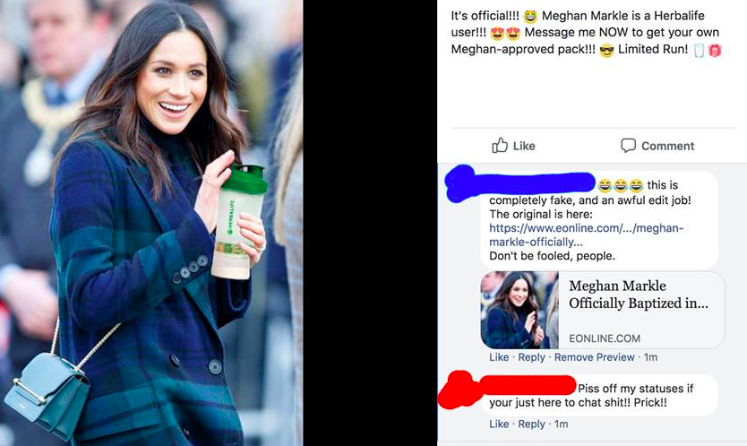 Even the royal family are Herbalife fans (according to Photoshop)! 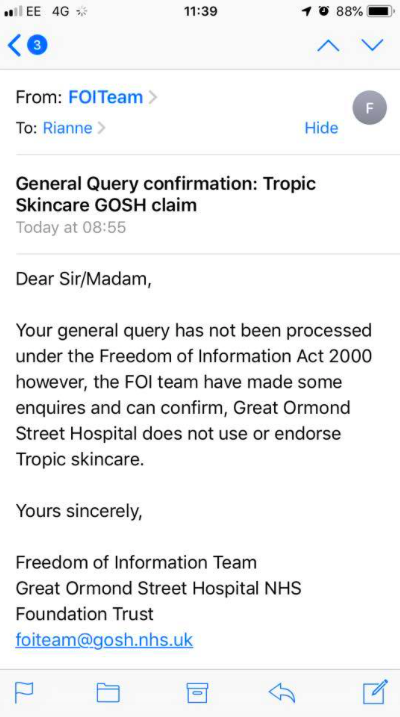 Ever wondered how reps respond when they’re confronted with their lies? Guilt, perhaps? Shame? An apology even? 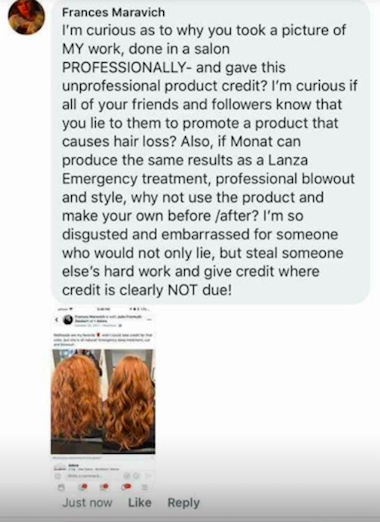 So what was the MONAT rep’s response? 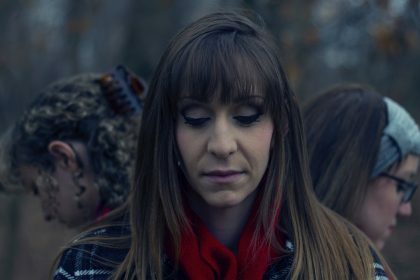 It may come as no surprise that shame, guilt and regret were not her instinctive reaction. Instead she responded that Frances should be FLATTERED she’d stolen her photos, and then blocked her. 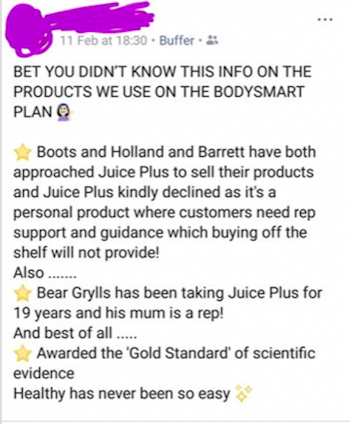 She’s not the only MONAT rep to be caught out lying. 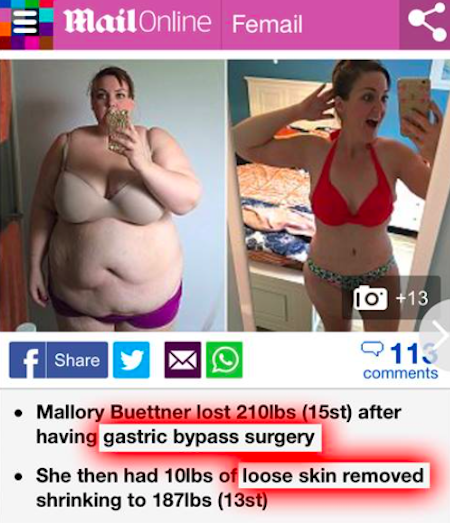 Not only are they seemingly fond of borrowing photos, but they’ve also been exposed for posting false claims of FDA approval, according to this news story. 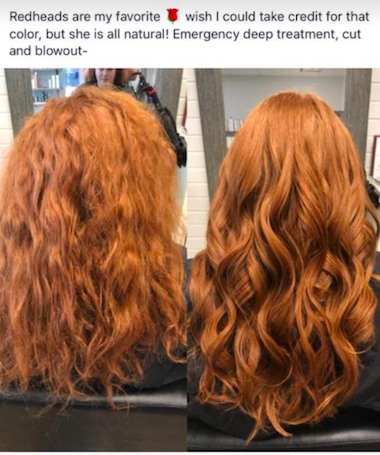 There are also a shocking amount of news stories and law suits regarding the damage MONAT is seemingly doing (including alleged hair breakage, sores, severe hormonal problems, depression and even, horrifyingly, permanent baldness). 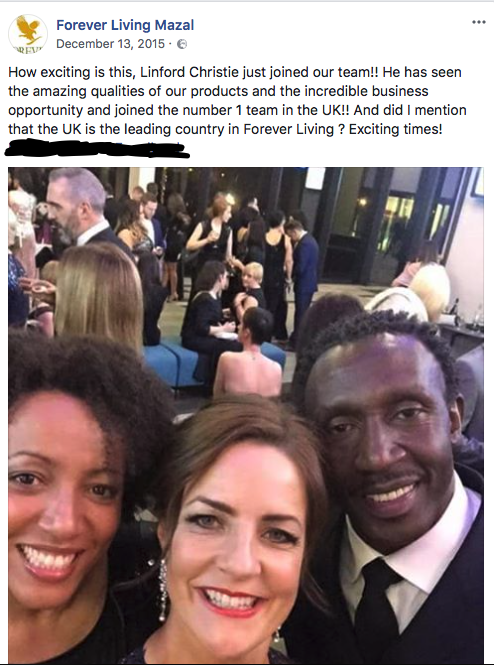 You can read our own investigation into the MONAT ‘business opportunity’ here. 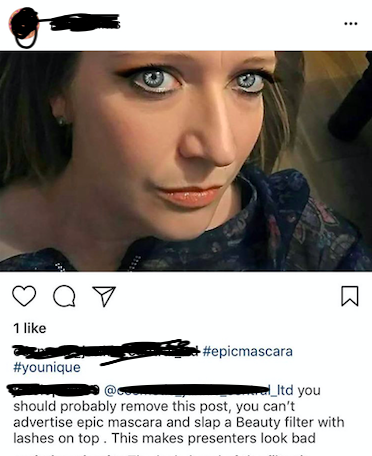 Is there no depth an MLM rep won’t sink to? 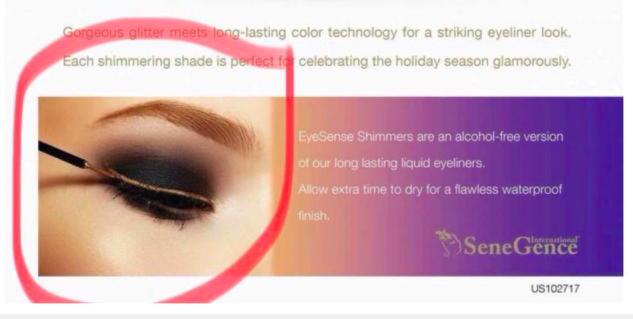 There are lies that MLM reps tell, and then there’s just plain bad taste. 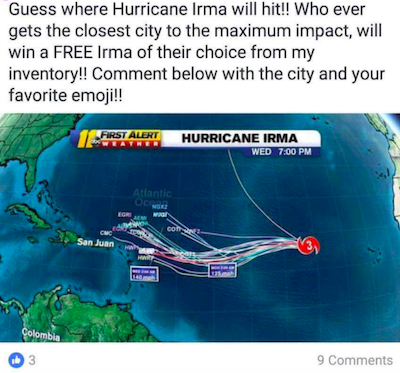 Because for a desperate MLM rep, every single possible event is a chance for a sale. 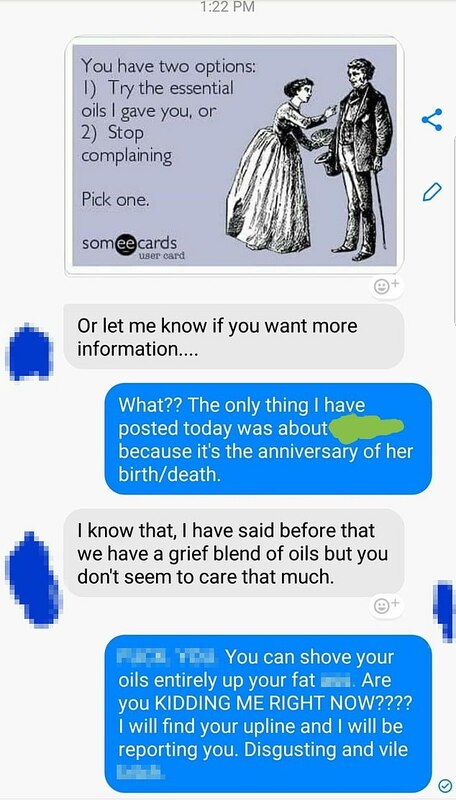 Yes, to ‘celebrate’ the birthday of their dead daughter, this rep is excitedly giving away mystery items. We can’t actually comment on this post further, as words fail us. 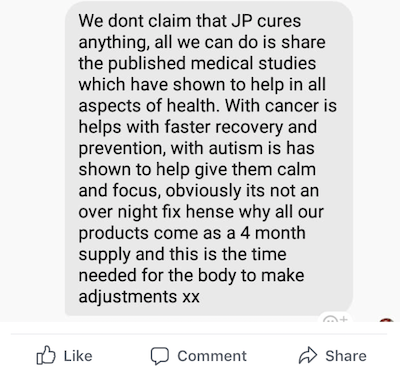 Of all the wild claims made by MLM reps, preventing or curing ebola and cancer are the most outrageous (and potentially damaging). In both letters the FDA warned the companies that, despite their consultants’ claims, their products “are not generally recognized as safe and effective for use under the conditions prescribed, recommended, or suggested in the labeling.” And that “in light of their toxicity or other potentiality for harmful effect, the method of their use, or the collateral measures necessary to their use, they are not safe for use except under the supervision of a practitioner licensed by law to administer it”. 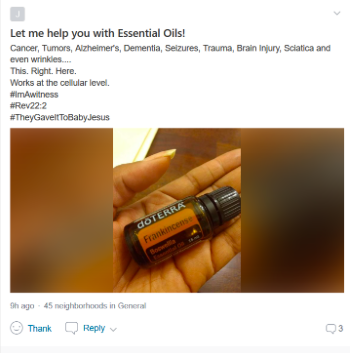 Let’s be really clear here (because we’re sick of seeing essential oil reps desperately peddle their over-priced products as a cure-all). The FDA describe both doTERRA and Young Living’s essential oils in this context as ‘toxic’ with the “potentiality for harmful effect” and state they are not safe for use unless “under the supervision of a practitioner licensed by law to administer it”. 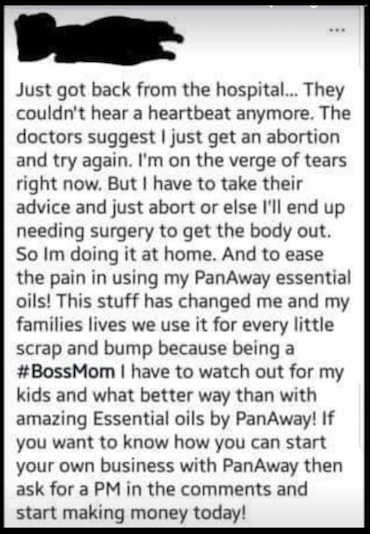 So please, if you approached by an MLM rep hawking essential oils, do not believe the lies they may tell you. If you are interested in investigating essential oils, do your own research and find a qualified aromatherapist who is not tied to an MLM. 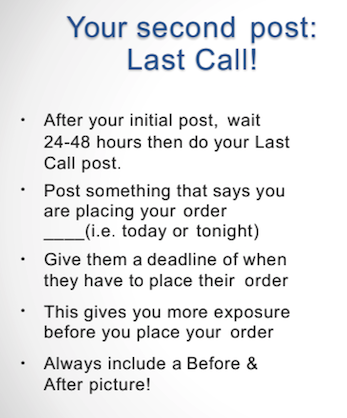 Time and time again, MLM reps prove that there is no low they won’t sink to to make a sale. 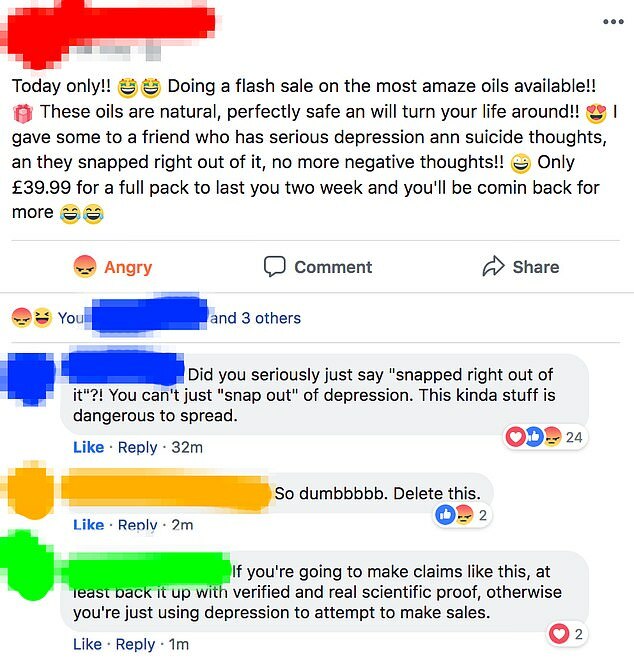 Our essential oils will stop you committing suicide! 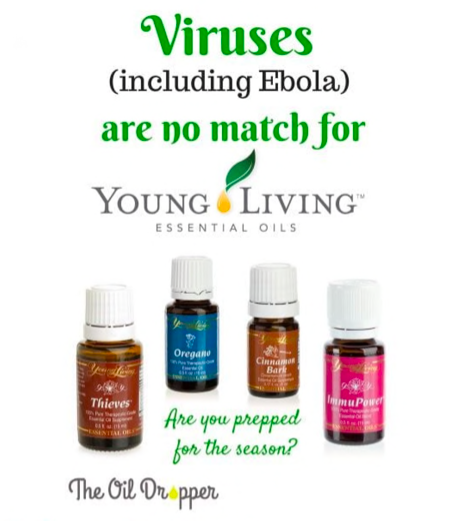 Young Living oils are apparently such a miracle product, that not only are they no match for ebola, but they can help with physical and sexual abuse, and even suicidal thoughts. 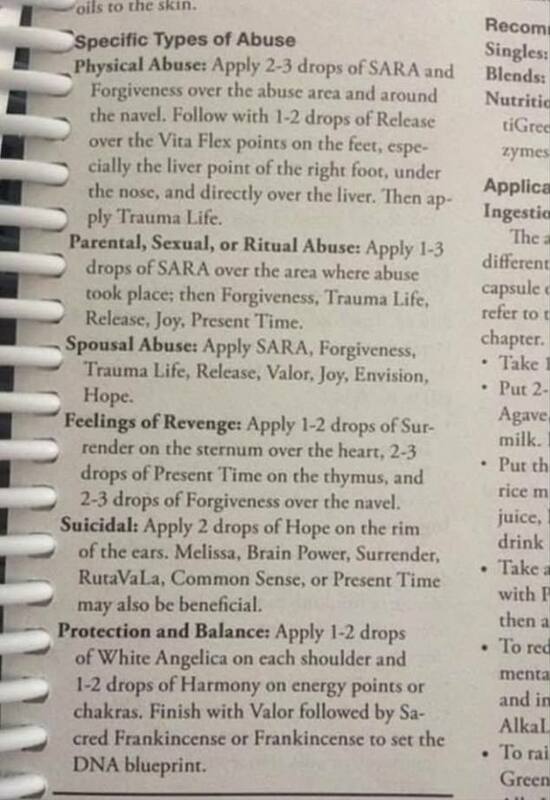 We’d politely suggest to this rep that, if their Young Living ‘business’ fails, they DON’T pursue a career in therapy. 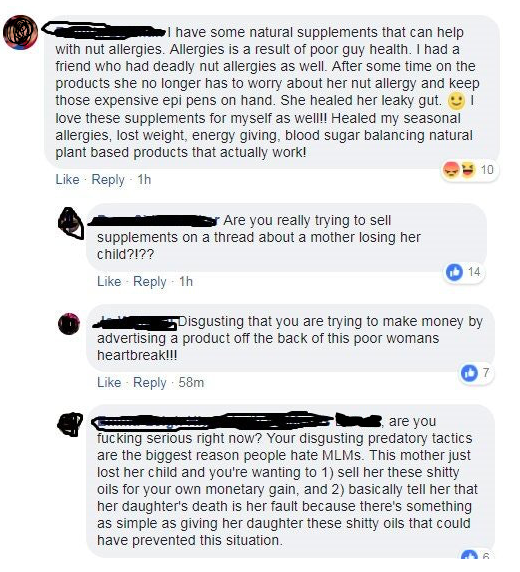 So not only are claims that MLM products can cure, prevent or help with diseases and conditions often lies, but they could even be dangerous. 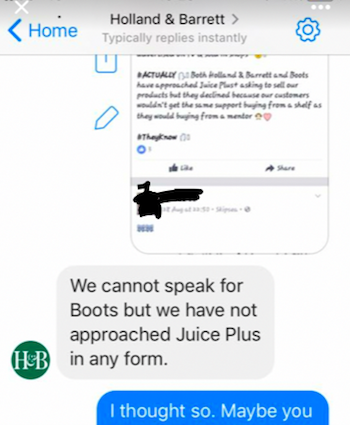 “When I was with Herbalife they’d always tell us to go onto new/struggling reps posts and comment as if we were customers/prospective customers (“I love this shake it gives me everything I need for the day!”/“wow this sounds awesome, can I have more info please?”) – all so fake and obvious! 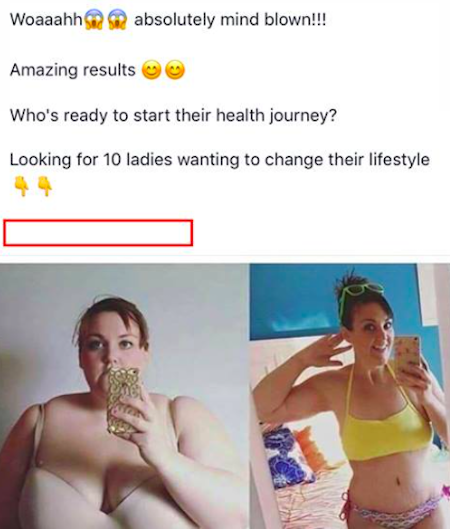 So the next time you see an MLM rep offering a free weight loss challenge, running a promotion on products or promoting an income opportunity, and you see replies saying things like, “I’m in!” just check out the profiles of the people replying and see how many are already selling the products themselves. How much can you earn as a Herbalife rep? Find out here. Why? Because they’re not just selling products, they’re selling an ‘opportunity’ – the illusion of a desirable lifestyle. 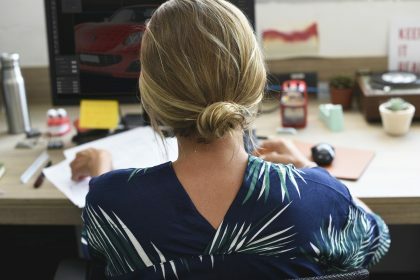 They’ll tempt you in with boasts of how easy and fun the work is, how flexible the hours are, how wonderful and supportive their team is, and how much they’re earning. But the truth is many reps are just desperate. 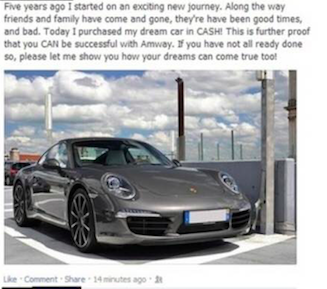 As we’ve learned, on average 99.6% of MLM reps actually lose money once expenses and chargebacks are taken into account (like this ex-Mary Kay rep who, despite qualifying for the pink Cadillac and receiving large commission cheques was actually more than US$40,000 in debt). Even their ‘free’ car is just another cruel, sleight of hand trick. And the only way they can hope to turn their luck around is to recruit other people under them. Hence the honey trap posts like the examples above. They hope to lure you in so they can cut their own losses. 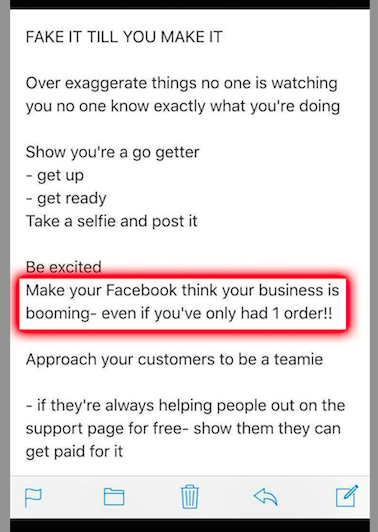 Or they have been brainwashed into genuinely believing that they just need one more person in their downline (and that person just needs to recruit one person, and so on…) and the lifestyle they are bragging about about could be theirs. Or, if they are one of the few genuinely successful reps, they want to lure you in to add to the other people losing money under them. The more the merrier (for them). 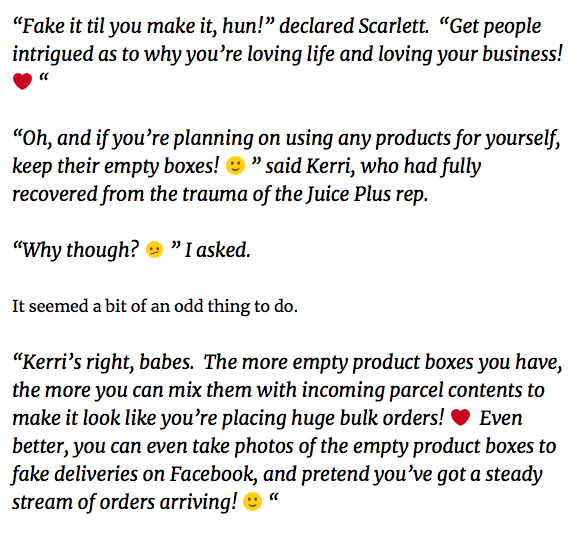 Want to read more examples of how MLM reps use fabricated and exaggerated testimonials to sell? We recommend reading this blog by Botwatch. 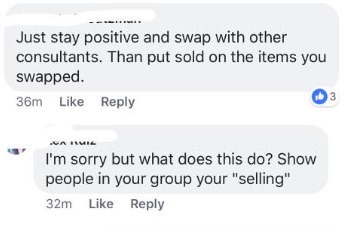 So if you’re considering parting with your hard-earned cash to join an MLM, tempted by a friend/colleague/aunt’s boasts, don’t.